I’ve heard both sides of the argument. Yea or Nah on shiplap? I’ll be honest, during our deciding process I totally lost sleep over it. I’m an over thinker and analyze everything. EVERYTHING. 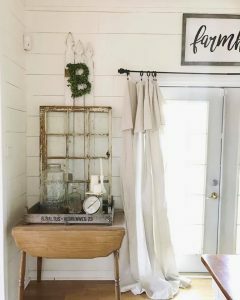 Some people claim shiplap is the new 1970’s paneling and refused to take part in the shenanigans. 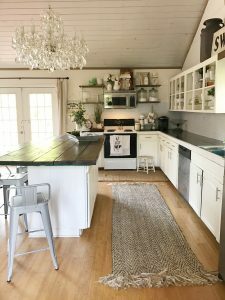 Others feel shiplap is completely overrated. 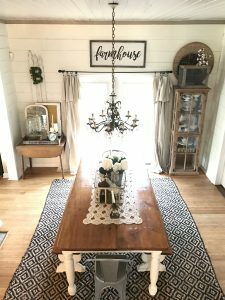 Joanna Gaines, you’ve caused quite the debate! After researching both sides, studying pictures of people who have it and losing sleep, I finally made a decision. Yea. 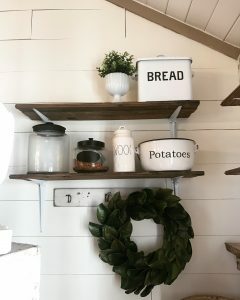 I like shiplap. Here’s why! I’m all about adding an extra layer of texture to a room. Welp, shiplap definitely brings a neutral texture to any room (or in my case ceiling too). That lovely texture comes in an unnoticed way which I’ll explain later. Call me totally crazy but I swear by this statement – our ceilings got taller. Okay, maybe not literally but OMG our walls look taller. It’s only an illusion but it’s a good one for sure! There’s something about those white uniformed lines that makes me happier with each glance. So whether I keep it for a year or twenty years, what does it matter so long as I love it?!? 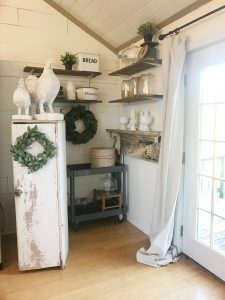 FYI – my go to shiplap color is Benjamin Moore White Dove. Here’s a secret, I actually get it in Behr from Home Depot. They have access to Benjamin Moore colors. It saves me moola!